Founded in 1876, the Alert Hose Company No. 1 is an all-volunteer organization charged with the responsibility of providing fire suppression and other emergency service manpower to the Adams Fire Department for the Berkshire County town of Adams, Massachusetts 24 hours a day, 7 days a week. 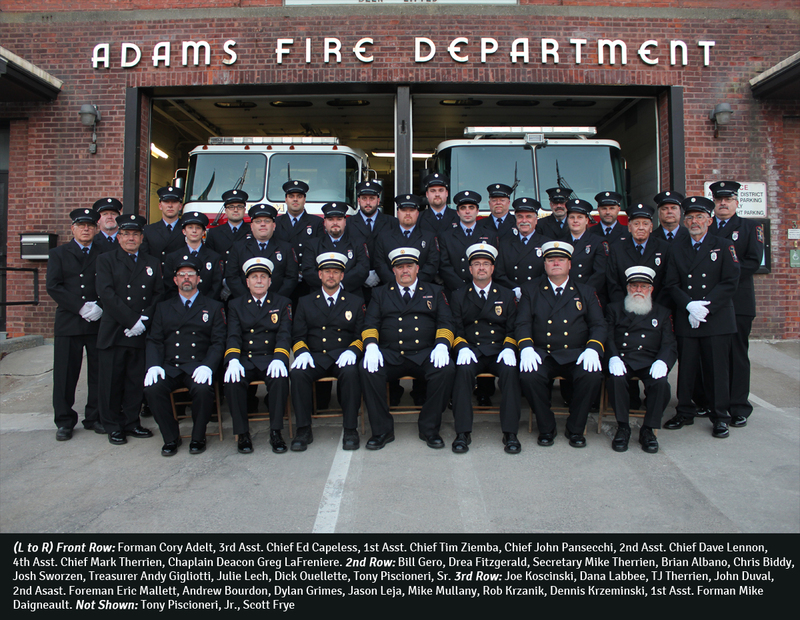 The members of the Alert Hose Company and the Adams Fire Department are committed to excellence in service, providing dedicated assistance to the community of Adams for over a century. We strengthen the safety and welfare of the community with the highest quality Fire, Rescue, and First Responder services to ensure protection of life, property and environment. Be sure to check out the News section for the latest info concerning the department. The Alert Hose Company is actively seeking new members! For more information, see our Recruitment section. Carbon Monoxide detectors installed when Massachusetts' law regarding their use was enacted are presently reaching the end of their useful lives. Many detectors will begin to beep to indicate that they need replacing. Please read the back of your detector to determine its age and what the various alarms mean. More information can be found in this article.